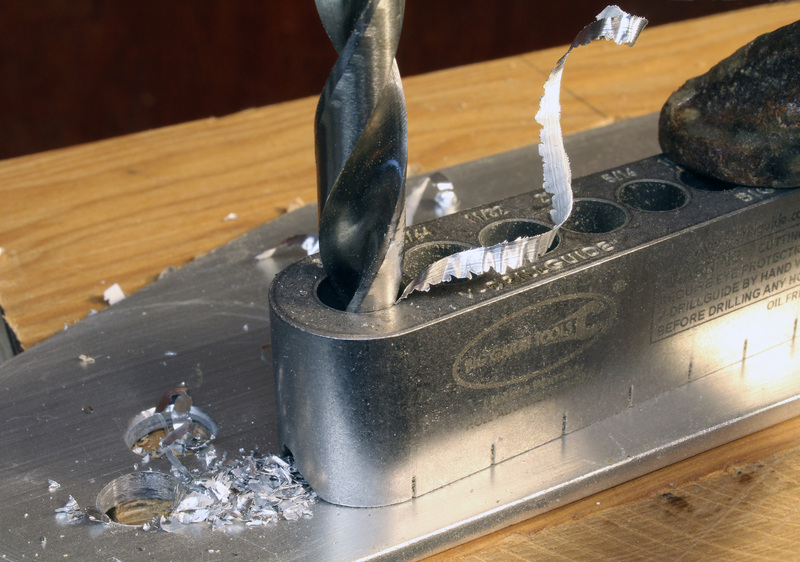 The tempered-steel guide has holes precisely sized to allow bits to spin freely and without wobbling. I can count on my drill press to drill holes square to the workpiece, but there’s a limit to the size of what I can put on its table. I have a device that attaches to a hand-held electric drill; it has a round base, two vertical steel rods, and a chuck-equipped slider that’s guided by the rods. It works, but it’s cumbersome to use, and often too bulky for the jobs I need it to do. I’ve made a lot of wooden guide blocks on my drill press, but they get chewed up quickly with use and become less accurate as the hole I’ve drilled in each of them widens. The groove on the bottom straddles corners and cylinders to align the guide. 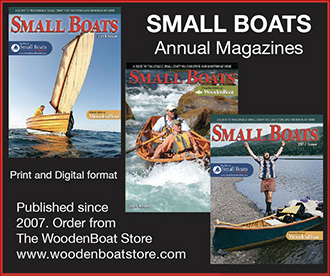 The wooden guide here is one I made before buying the V-DrillGuide. Having served its purpose—drilling a single hole for a lag bolt—it’s on its way to the fireplace. The day before after I happened upon the V-DrillGuide on the web, I had made a wooden block guide for drilling a pilot hole for a lag bolt to support a bathroom shelf I’d made. That guide was, like all the others that preceded it, destined for the pile of wood scraps that would go into the fireplace on a cold evening. The V-DrillGuide looked like a much longer-lasting tool. It comes in several sizes for both metric and imperial drills. I bought the 1/8″ to 3/8″ tool with 17 holes in 1/64″ increments. It’s made of steel that’s heat-treated for durability. I tried drilling a hole in it with an 1/8” bit and its tip just skated across the surface leaving only a faint scratch that is barely visible and almost undetectable to the touch. 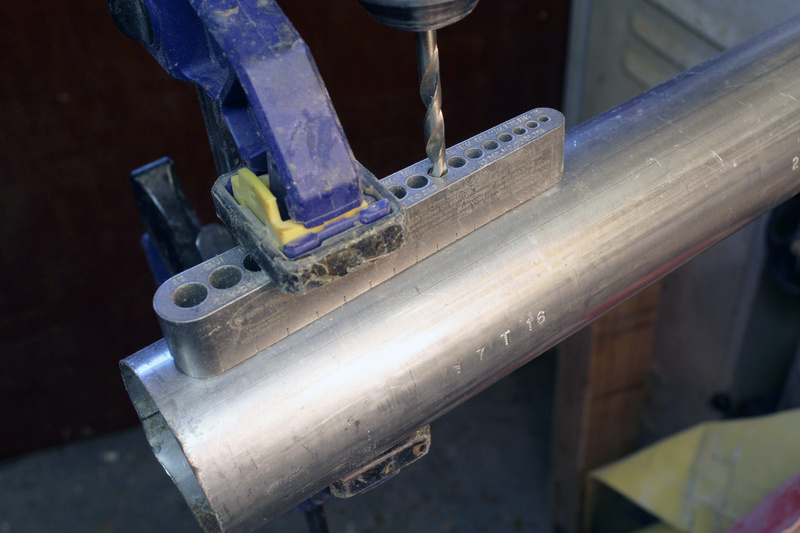 Clamped to a flat surface, the guide keeps the bit on target. The hashmarks on the bottom edge of the guide are aids to placement. 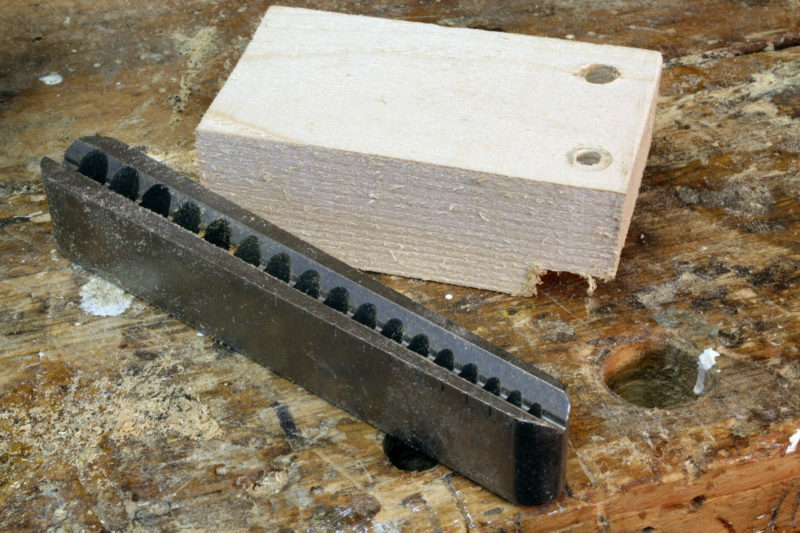 The smaller bits, up to 1/4″, quickly bore into wood and stabilize themselves so with them I’m comfortable holding the guide by hand and the results are fine. Larger bits cause the guide to wobble as their tips start to get buried. I’ve achieved good results by locating the bit on the mark, getting the hole started, and then setting the bit up with the guide. Even though the grove on the bottom is not quite 3/8″ wide, it aligns the guide perfectly when clamped to this 2-1/2″ pipe. The V-notch on the bottom is about 3/8″ wide and parallel sided so the guide is self-aligning on round objects. Pipes and dowels lend themselves to clamping so that’s the best way to proceed. I was surprised that the narrow notch worked so well on 2-1/2″ pipe. Clamping the guide put it in perfect alignment. Clamping the guide to the edge of a wide board would require special arrangements for a clamp, but the guide is steady enough on corners to be held by hand. The groove fits right-angled corners, and with square stock, clamping is easy. 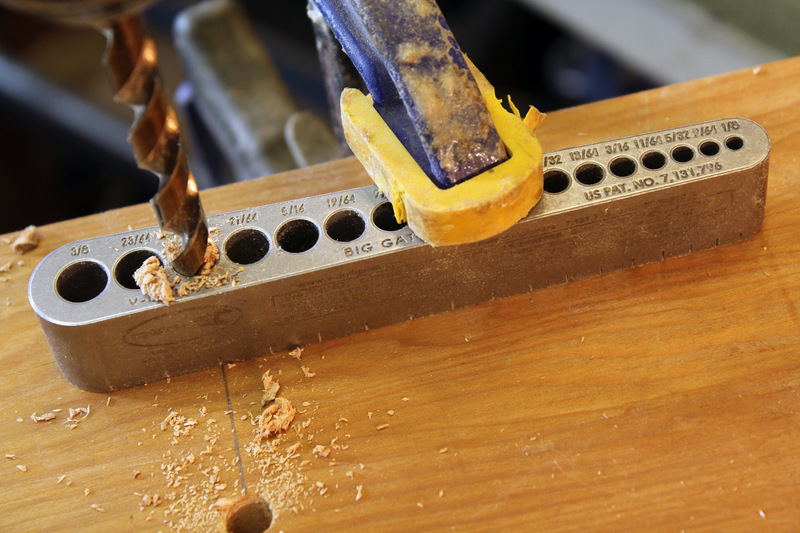 Wide boards are awkward to clamp, but holding the guide by hand is enough to make it quite steady, even with a 3/8″ bit. I can’t think of a time when I needed to drill into a corner, but if the task ever comes up, I’ll be ready for it. The guide is also useful for sizing drill bits. Even if the jaws of my drill chucks haven’t smeared the size markings on a bit, they’re hard to read. 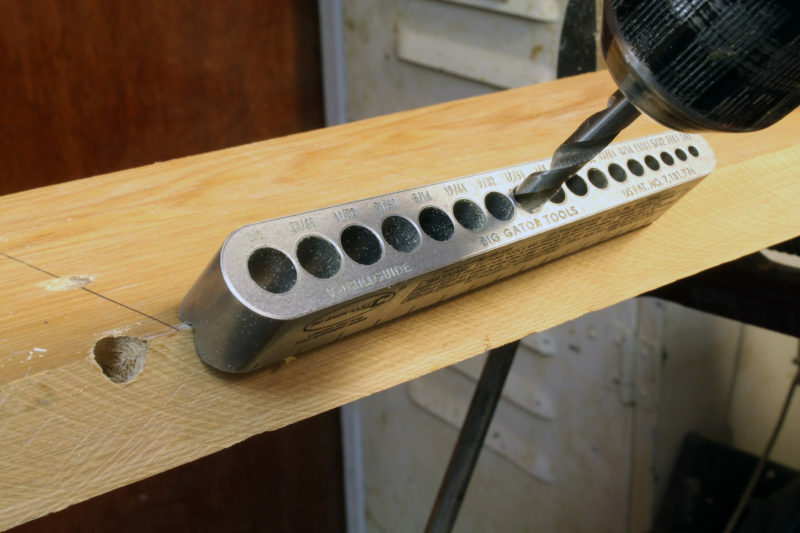 Finding the hole that fits on the V-DrillGuide is a quick way to sort a bunch of loose bits. The packaging for the V-DrillGuide has the red “As seen on TV” logo; I might have found my way to the tool sooner, but I cut my cable and got rid of my TV years ago. I’m happy to have it in my toolbox now. Better late than never. The V-DrillGuide tools are available from Big Gator Tools. The Standard V-DrillGuide (1/8” to 3/8”) reviewed here lists for $27.95. I bought mine at Rockler for $24.99.